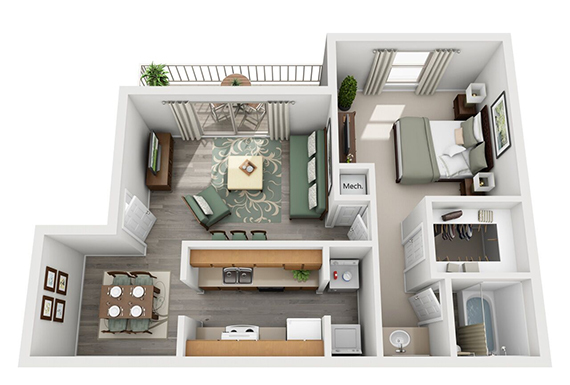 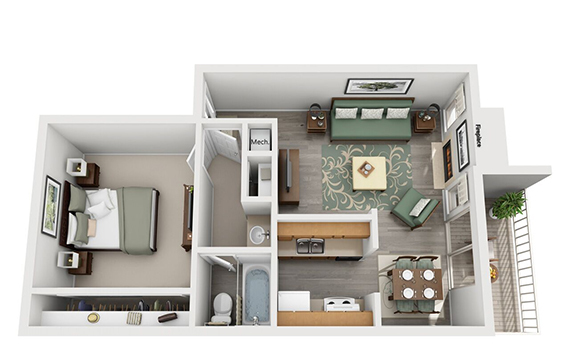 At The Falls at Clear Lake Apartments, we have an impressive selection of seven unique floor plans that will fulfill your every wish. 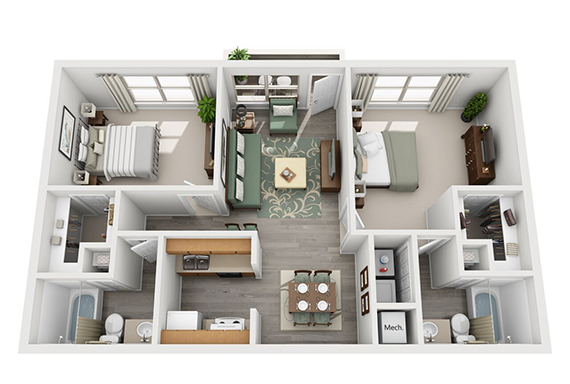 Our one and two-bedroom apartment homes feature a living and dining area, a kitchen, a private patio or balcony, and the corresponding bedrooms and bathrooms. 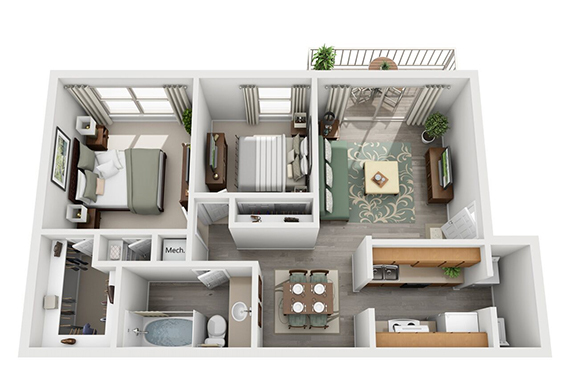 At Falls at Clear Lake Apartments, we invite you to entertain guests in our fully equipped kitchens featuring a high-end stainless steel appliance package and granite countertops. 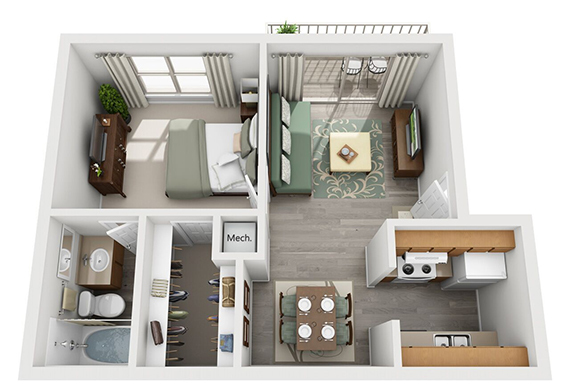 Find a space for all of your belongings with our spacious walk-in closets, or enjoy simple features such as our stylish hardwood flooring. 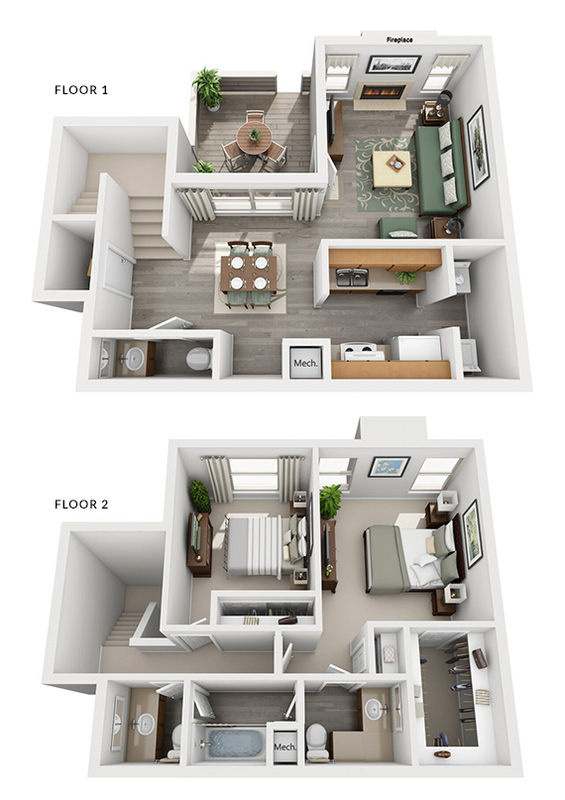 Our community serves as an extended living space where you can indulge in two sparkling swimming pools, a soothing spa and hot tub, an exclusive dog park, and relaxing picnic area. 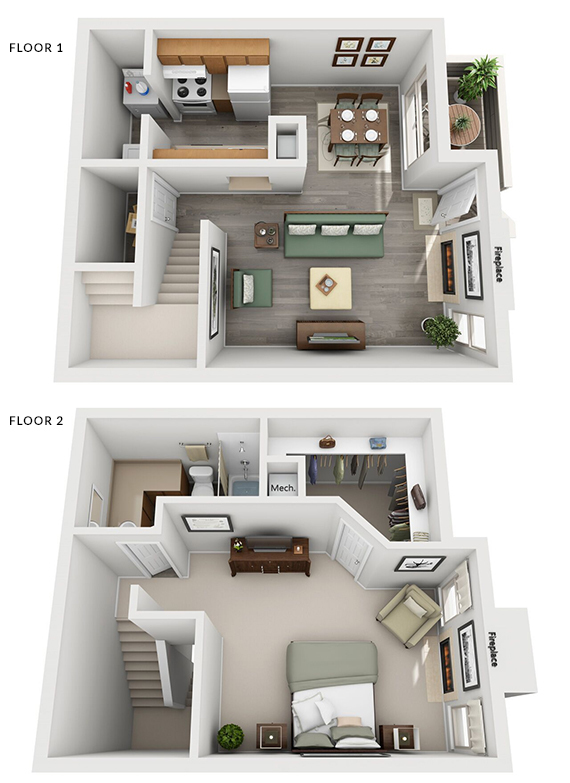 With our astounding selection of floor plans, it shouldn’t be difficult to find the perfect fit for you and your family.